The innovative and cutting-edge capabilities of SAP S/4HANA and SAP Leonardo can transform asset maintenance across your organisation - opening up SAP’s internal processes to the Internet of Things (IoT) and allowing you to monitor remote assets from anywhere, in real-time. Use sensor data to track performance, identify equipment failures and automate maintenance orders. Through predictive intelligence and machine learning, you can move away from rigid, pre-determined maintenance schedules towards risk-based maintenance - increasing efficiency and cutting costs, while lowering the chance of a costly equipment failure. Eliminate guesswork by using detailed data insights to drive a smarter, more proactive maintenance strategy. SAP S/4HANA’s integration with GIS (geographic information systems) such as Esri ArcGIS, allows you to view business assets in geographical context, via simple, intuitive map-based navigation. You’ll have the power to optimise scheduled outages and increase asset reliability with geo-spatially enabled processes, enhanced by contextual data such as live weather forecasts. These broader insights provide a more complete picture on which to base better EAM decisions. Our first piece of work with you will be to showcase the ‘art of the possible’, establishing realistic end goals for the project and demonstrating where SAP’s EAM toolset can take your business. 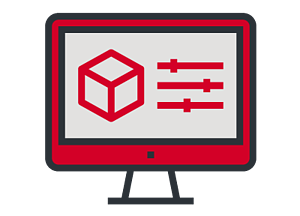 We’ll show you in real terms how EAM can transform your asset management function, simulating some of the automated processes that the software can provide. You’ll see, for instance, how data can be transferred from an equipment sensor through the cloud into your core SAP platform, automatically generating and sending a work order to a mobile app for your field engineers. The second stage of our engagement will depend on your plans for SAP S/4HANA. If you’re in the process of migrating to SAP S/4, we’ll embark on an exploratory session to showcase S/4’s out-of-the-box functionality. If you’re not making the move to SAP S/4HANA just yet, you may wish to ‘cherry pick’ functionality (such as predictive maintenance) and run that on the digital platform, while your core business continues to run elsewhere. In this case, we’ll help you produce a proof of concept (PoC) for those elements you’re choosing to implement. In the final phase, we’ll ensure you realise your business goals through an accelerated implementation - either cloud or on-premise. We’ll leverage our own range of pre-built tools and frameworks - packed with SAP best practices - to help you turn your enterprise asset management capability into a truly digital operation. Soon you’ll have a proactive, real-time solution that gives asset owners, plant managers and engineers greater control, while making maintenance planning easier and more accurate. 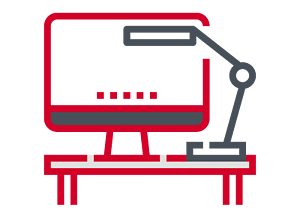 You’ll also be able detect, predict and prevent asset issues or equipment failures, while automating much of the process utilising machine learning and IoT technologies. 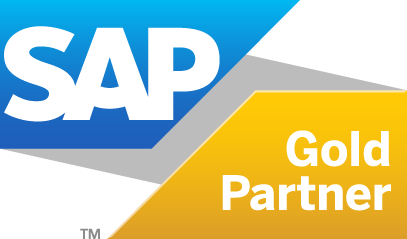 Well-established links with SAP’s EAM product team puts AgilityWorks ahead of the curve on new functionality and latest innovations. And our unrivalled understanding of the digital toolset within SAP S/4HANA allows us to leverage the technology to its full potential. Our experienced consultants boast significant expertise in both the primary enterprise asset management industries, such as utilities and telecoms, as well the sectors that rely on strong asset and service management capabilities, such as aerospace and defence. AgilityWorks has a proven track record of SAP S/4HANA migration and transformation, matched by very few companies of our size. With AgilityWorks, you benefit from that extensive project experience, while still dealing with a business agile and focused enough to retain its personal approach.